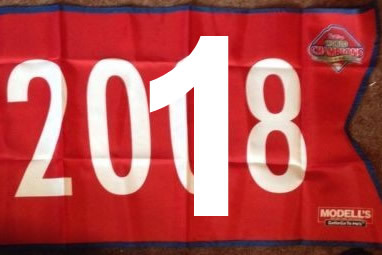 It was fun to be a Phillies fan on August 5th. They finished off a sweep of the Marlins, won 5 games in a row, and owned a 1.5 game lead over the Atlanta Braves in the NL East. Their pitching was cruising along like it had been, giving up 12 runs over a 6 games. Their offense, which had been silent throughout most of the season, had sprung to life against the Marlins. They scored 5 or more runs in each game of the four-game series at a rate of 5.75 runs per game. You know what happened from here. They lost the series to the Diamondbacks. Then they lost to the Padres, paused with a nice 2-game split with the Red Sox, then they lost to the Mets, Nationals, Blue Jays, Nationals again, Cubs, and Marlins. All told, they failed to win all 9 series since August 5. To make matters worse, 6 of those series were against losing teams. If the Phillies - and their 5th worst offense in the NL in terms of runs - are unable to beat Jacob deGrom, the likely Cy Young winner with a 1.68 ERA, it will be 10-straight series without a win and 7-straight against losing ball clubs. After the Mets this afternoon, the Phillies play the Nationals, Marlins, and Mets at home. After the Diamondbacks this afternoon, the Braves play the Giants on the road and then the Nationals and Cardinals at home. Phillies win all three series against losing teams. Braves lose the two series against the Giants and Cardinals, but win the series against the Nationals. That would put the Phillies a half-game back with seven head-to-heads awaiting with the Braves. 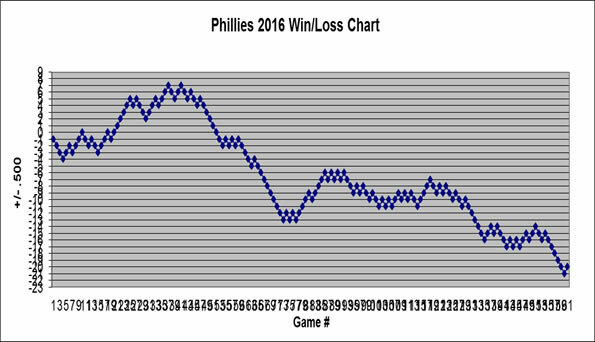 It's not much to ask of any team, even one that has struggled as much as the Phillies. Nearly all of those players have a long-enough track record to suggest those numbers don't reflect their actual talent. Don't give up hope just yet. It's quite possible the next three weeks will be some of the most memorable in Phillies history.